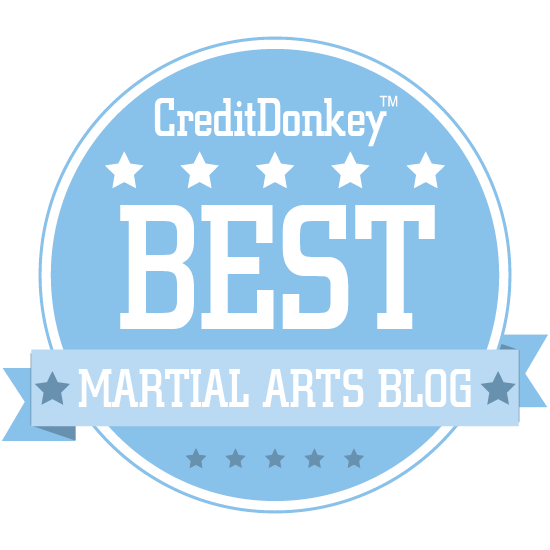 There is an old rule of thumb in martial arts: 1,000 repetitions to get the basic idea of a movement, 10,000 repetitions to get it more or less right, 100,000 to get it near perfect. And that's just a movement. We've not yet talked about application. Application takes much, much more practice. Let's put it in the perspective of some other art - say, music. You might want to be a world-class jazz guitarist, playing lead solos off the cuff, with no two performances alike. And that's how jazz is meant to be played. You're responding to your environment: the other musicians, the crowd, the venue, its atmosphere, your own mood, the time of day... practically anything and everything. 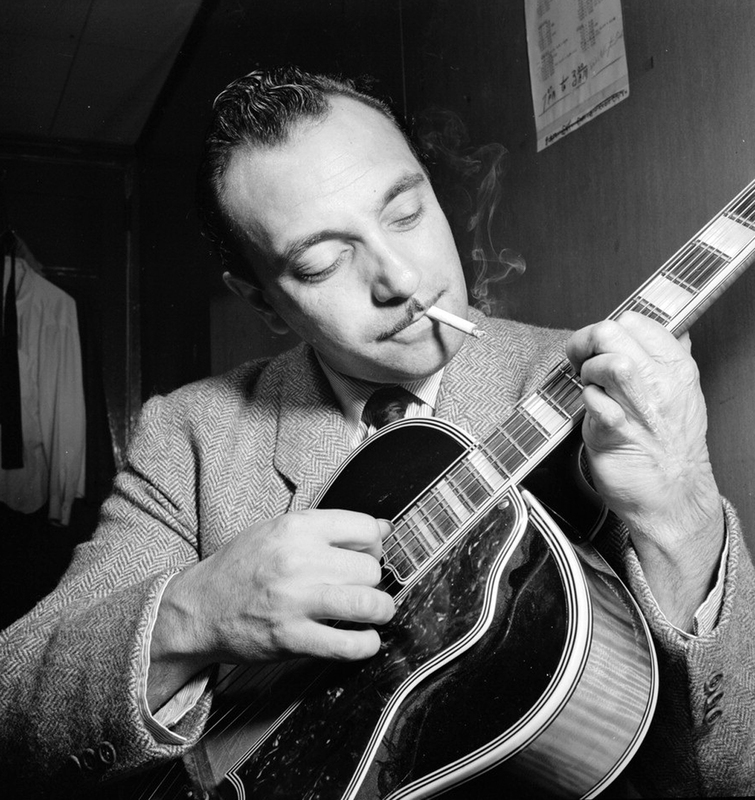 So what does it take to be a good jazz guitarist? 100,000 repetitions of scales won't cut it. I don't know what the figure in repetitions is, but it's going to be a lot higher. Actually, it's measured less in terms of repetitions than it is measured in time. You need time to become a master. "But I'm super-talented and ultra-focused," you'll hear people say. "I have an unbelievable work ethic and I'm already doing things that 'masters' can't do! Check out the speed of this particular solo..."
Yes. You're good. Really good. But you're not Django Reinhardt - yet. You won't be until you've approached his experience. Because, in the end, there is no substitute for experience. However much you wish it were otherwise. This often has more to do with the passage of time than the literal number of repetitions. Because that passage of time is often what is needed for something to "bed down". It's for this reason that sometimes it's best to "sleep on it". How many times have you found yourself frustrated by a particular technique or skill, mucking it up almost every time, only to find it vastly improved if not "effortless" the next day? It has happened many times in my life and I'm sure it will keep happening. Indeed, I've come to trust the principle of "sleeping on it". I've come to expect less from sheer dogged repetition and more from activities such as visualisation, if not pure "rest": time for my subconscious to process a new technique or skill - time to make it truly mine. And it's the same in every other art or discipline. In my present day job I work in the field of legislative drafting. I remember coming to the profession after almost a decade in the law: I was a highly-regarded court lawyer with many big cases under my belt. I was logical. I loved to write. I had no doubt I'd pick up the new job in a flash. Except I didn't. I realised that everything I did - every new task I got handed - posed novel challenges for which I had no answer. Indeed, there was often no precedent. It's still the same today: the job is like an ever-changing kaleidoscope of problems no one has ever seen before. So when I first started (and for the 5 years or so after that), I found myself running to my more experienced colleagues almost every time. And despite the novelty of the questions I posed, they adapted their knowledge and solved my dilemma. Seemingly effortlessly. I quickly realised that those who had been working in the profession for 20 or 30 years had something I didn't have and couldn't match - no matter how many extra hours I put in, no matter my work ethic, no matter what "talent" I thought I had. Because whatever my skill, potential or determination, I simply didn't have their experience. In other words, I lacked time. I've spent many decades learning the writing craft. Along with marital arts, it's my passion. It isn't some "talent" as much as it is a function of of work. Writing is hard work. Learning to write is harder. Take another, non-artistic, example: bathroom tiling. I'm tempted to do my own in renovating our bathroom at home. I've never done tiling before and I know it's not easy. It requires technique. If I do it, I know I'll end up with an okay result: my sense of perfectionism will allow no less. But I also know that it will never look quite as professional as that done by someone who has been tiling for 30 years (and who is good at it). They will do it in one tenth of the time and to a standard I can't possibly hope to achieve. It would take me a heck of a long time to catch up to such a tiler. If I ever did. 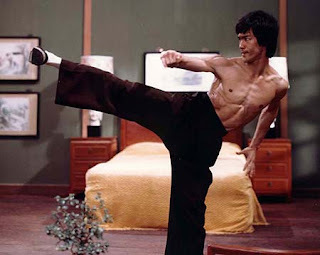 So, back to martial arts. Why would time be any less significant in our chosen activity? Of course it isn't! It's just that unlike guitar playing or tiling, we can disguise the significance of time with the speed and power of youth. Skill is still skill - and that takes time. I've had many highly talented and athletic students come through my class - some as former gymnasts or dancers who have exceptional coordination and timing. Others have been professional or semi-professional athletes, competing in triathlons or in other martial disciplines (eg. wrestling). But when it comes to karate or the internal arts, they are rank beginners. Why? Because they haven't had any time in these arts. Yes, they might progress very quickly - often far faster than other students who don't have their aptitude, fitness or work ethic. But they are still beginners. Certainly, relative to me, they are still beginners even after 2, 5 or 10 years. This is true just as I remain a beginner relative to my current teacher, James Sumarac. 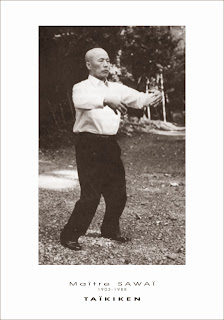 We are both beginners relative to Noguchi Sensei in karate and Master Chen in the internal arts. The difference between our experience is measured in many decades - not in a handful of years. 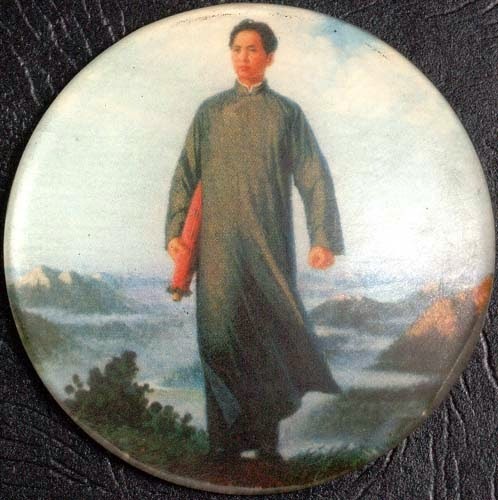 And don't forget, we traditional martial artists are not training just to "fight" but to improve our skill through diligent effort - gong fu. We are striving for perfection of an art. And we aren't training to "beat" or "hurt" someone - but rather not to get hurt. We win if we succeed in minimising our own harm - even if this means running away and doing no harm to our opponent whatsoever. As a result, our fighting skills are necessarily more defensive in nature - they are not focused on attack, although they involve some very ugly counter-attacks where necessary. We are learning a gritty, earthy but still highly functional ancient technology for this purpose. Ultimately, this involves learning certain techniques that take a long time to master and even longer to perfect, particularly in a dynamic environment. We approach it this way because we want to keep developing and refining new skills well into old age. 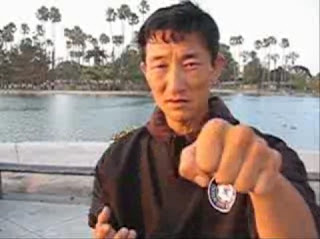 Yes, we might start with simple, functional self-defence for reasons of instant practicability, but ultimately we are going for subtle, advanced skills that utilise efficiency and timing - and rely as little as possible on speed and simple brute strength - physical attributes that fade with age, injury and illness. In a traditional civilian defence art this typically involves learning "form" - whether it is an isolated formal technique (eg. a standard judo throw) or a sequence of such techniques (in patterns or "kata"). We first apply those techniques in a formal setting (one-step sparring), then move to using those techniques in a more dynamic environment - via drills that repeat certain attacks, matching your response to them automatically (eg. in rhythm training). This ensures the techniques emerge spontaneously through what is known as "action-perception coupling" - something I have previously described as "situational reflex" (note - not "situational awareness", which is a completely different thing). We then test whether you have this "action-perception coupling" in free sparring - where we see if the techniques you've learned in kata (or rather, the principles inherent in those techniques, rather than the literal form of them) emerge spontaneously, or whether you just default to "faux boxing" under pressure. All of this takes time. I could teach you all the katas/forms I know in a couple of days (if you were really keen). Let's call it a month if you wanted to remember them all. Heck, make it a year if you want to actually look like something other than a total goofball. But what use will you get out of all these forms? Absolutely none. You won't have had time to "make them your own" - to "internalise" them so that they become part of you - so that the principles taught by the forms emerge without conscious thought. The same still applies after 5 or 6 years when you get your shodan. Yes, you might be very "tough" - formidable even. You'll know pretty much all the forms - inside out. You'll know their details. You'll know their bunkai (applications). But almost none of these will emerge in your sparring. Because shodan just means you've acquired the form. This is only the first step (the literal meaning of "shodan"). You won't have had nearly enough time to couple your action with your perception. And even if you have certain reflexes, they won't be optimal ones taught in the kata bunkai. Yes, there might be glimpses of the principles taught by the forms - but only glimpses. All of us who have trod the traditional path and gone through shodan know this to be true. Heck, forget that fancy application you saw of naihanchi: can you even land that side thrust kick you can do so perfectly in the air or against a bag? It's hard isn't it? I think those who practise judo and jujutsu actually appreciate traditional form much more than karateka or other traditional stand-up fighters: they see it as highly functional. They know it takes time to make it emerge spontaneously under pressure. Why do they have a better understanding of this? I think it's because in any form of grappling, you are in more or less constant contact with your partner. The kinaesthetic feedback is so much richer. Moreover, the permutations of movement in time and space are so much more constrained. Move out of contact and the permutations of possibilities expand exponentially. 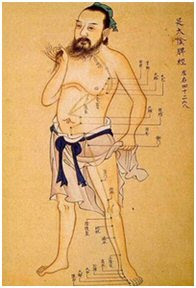 Collectively, these factors mean that the process of applying traditional grappling techniques, be they throws (judo) or ground and other restraints (jujutsu), is ultimately much easier to understand and plot. 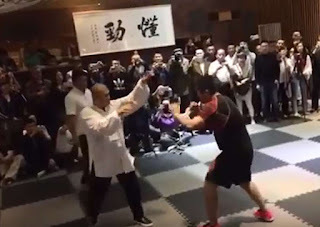 With traditional standup fighting, many go about blocking, kicking and punching in the air, but are then left scratching their heads when they confront an opponent in free sparring. 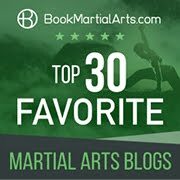 As a result, many traditional standup martial artists get disillusioned with traditional form: they can't see how their "blocks" or other techniques should be applied. So they change their "standup game", reverting it to something "proven" - usually some sort of boxing or Muay Thai - which features none of the original aspects of their traditional art. 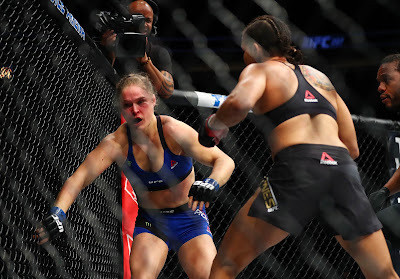 To me this is akin to learning judo nage but only applying Olympic wrestling in sparring. So in summary, my view is this: every art takes time to master. This includes all traditional civilian defence arts. Arguably it is especially true of "standup" arts like karate, taijiquan etc. 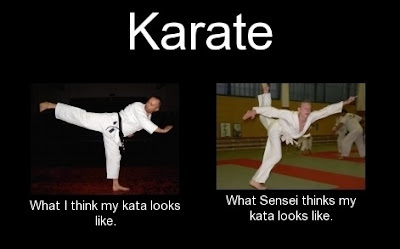 Yes, you can learn every kata. 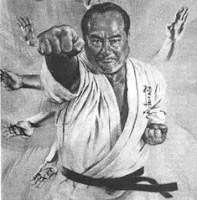 You can learn every bunkai. But this has nothing to do with mastery. Mastery comes when the principles of those forms emerge without thought or calculation: when you apply them spontaneously in dynamic, resistant environments. 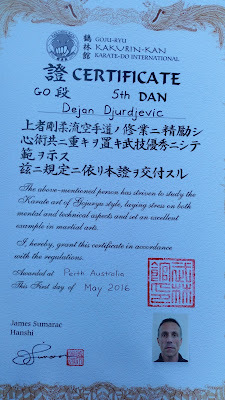 After 20 years of sitting on 4th Dan, my brother Nenad and I recently graded to 5th Dan - the rank many associate with "mastery". Do I feel like a master? No. I see too many instances where I fail my own definition of the term. But it is an honour to have received this recognition nonetheless. 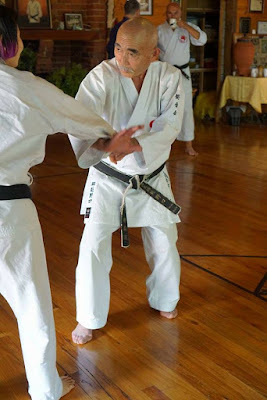 And, objectively, I know that I do, at least sometimes, produce spontaneous applications of the kata/form under pressure (or at least, the principles of those applications). 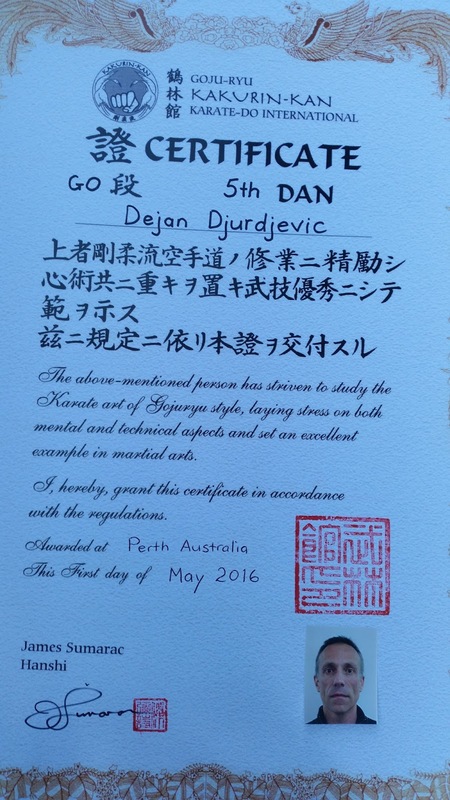 So maybe "mastery" isn't any particular line of achievement either, but rather the first concrete step in making the bunkai "your own" (much like shodan is the first tentative step in that general direction). 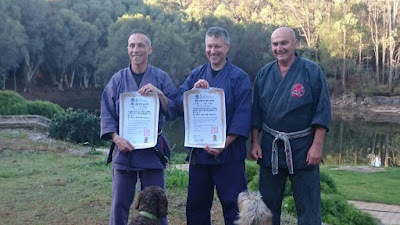 Given the time it takes to "master" anything, is it a wonder it has taken me 20 years since 4th Dan (and 36 years training in total) to feel I was ready to claim that I'd made that first step? So next time you find yourself wishing you could "jump to the advanced stuff" remember the (likely missing) essential ingredient: time. There's no substitute for it.